On Tuesday afternoon at Woodridge the team covered the area well and were able to engage with many people for the sake of the Gospel. Early on one couple walked past and took tracts. They were then asked, "Do you think you will read it tonight? ", to which the guy responded, "Probably not". The girl was a little embarrassed by this answer. The response was given, "Thanks for being honest, but please consider the seriousness of the message, you may never have another opportunity to hear how you can be made right with God. You may not have tomorrow." To which the guy responded, "I am going to read it right now!" One lady who spoke to the team early on was named Malvey. She had some understanding of the Gospel and happily listened. She didn't have any arguments and even asked a few questions and as her bus arrived took a tract and said she would consider what was said. Another lady Carrie, said she had been looking for God and was attending a local church. She sadly still thought that it was her goodness that was getting her to Heaven and the conversation was cut just short of the final explanation of the Gospel, as her bus arrived. Please be praying that Carrie reads the tract and that there is a local member of the church she is attending that will be able to speak with her and share with her the truth of the Gospel. A young man Taava, said he had spoken to the team before and said he was trusting in Jesus. He did seem to know the Gospel but he said he wasn't really reading his Bible. Taava was encouraged to consider that those who know the love God has for them in Christ Jesus, will want nothing more than to find out who God is. Please be praying that Taava is trusting in Jesus and is just yet to grow in his discipline and obedience to God. A sad conversation was with Brad. 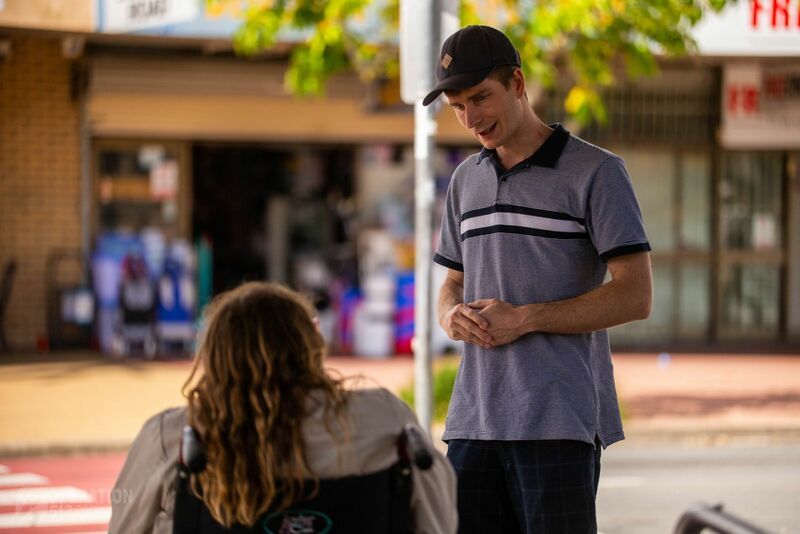 He had gone to church for six years, around a decade earlier but had been seriously hurt by the Church, had since watched a movie about how the Bible is completely made up and as a result has completely rejected God. Brad's arguments were founded on nothing apart from what seemed to be emotional trauma from the past. A short conversation was had with him as he was encouraged to read the Bible. It was clear from the things he was saying that he had never really read much of the Bible, especially not with the intention of understanding what the authors meant when they wrote it. Brad wasn't really interested in doing so but please pray that God would change his heart. One final conversation was had with Dan and Candice. 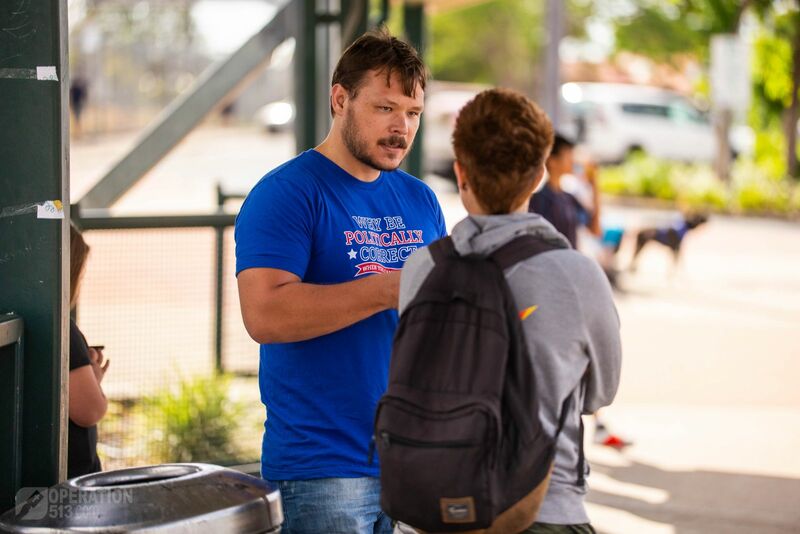 At first this couple said they were hoping for reincarnation but as they heard the Gospel they began asking questions, wanting to know more and even expressed that they were really grateful for the conversation. The came to understand sin and the condemnation of the law. The understood why many lives couple be of no help because we can never live perfect on our own. They came to understand how pervasive sin is and why the world is as we see it today. They then were also pointed to the only solution, someone else taking the penalty for our actions, justifying us with their life and giving us a new heart with new desires. Dan and Candice said it made a lot of sense. They had spoken to the team a number of times before but please be praying that today would be their day of salvation! Please raise up before God the others who heard the Good News, those who took tracts and even those who were hostile to the Gospel. Please be praying that God would use any interaction to bring people to salvation!